Consequences of climate hazards, such as drought, flood, and temperature variability, have been experienced in The Gambia. 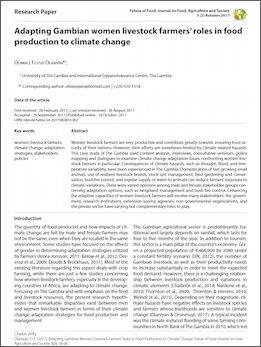 This case study examines climate change adaptation issues confronting women livestock farmers. This peer-reviewed article is one of the outputs of author Olawale Olaniyan’s fellowship with the African Climate Change Fellowship Program (ACCFP).